Last night (Monday 19 November) Buckingham Town Council decided not to take legal action against AVDC regarding the decision to approve an application to build a Crown Care Home on land behind the Grand Junction Public House (13 High Street). The Council had obtained an expert legal opinion as to whether the Town Council had reasonable grounds to instigate a Judicial Review in the High Court of the recent planning decision. 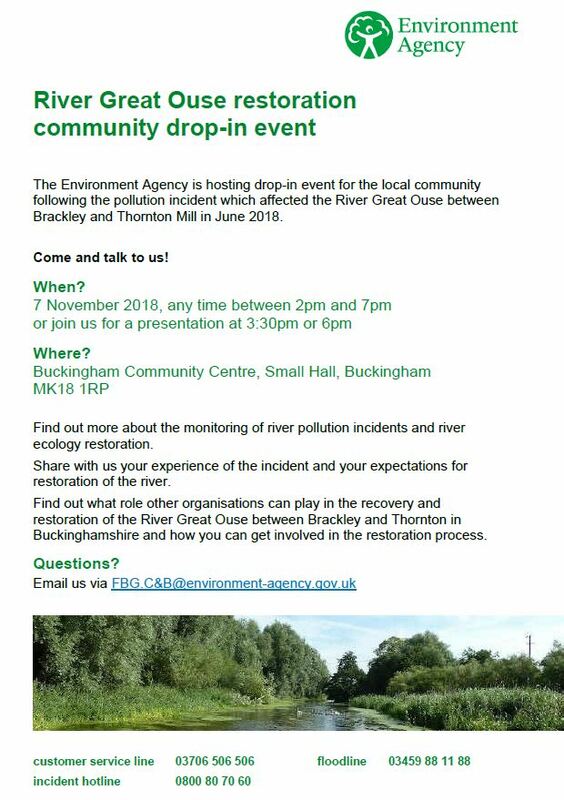 The Town Council had six weeks from the date the decision was made – Friday 26 October – to decide whether to launch an appeal. The Council considered the legal advice provided by Mark Westmoreland-Smith. The full legal opinion provided is available here. 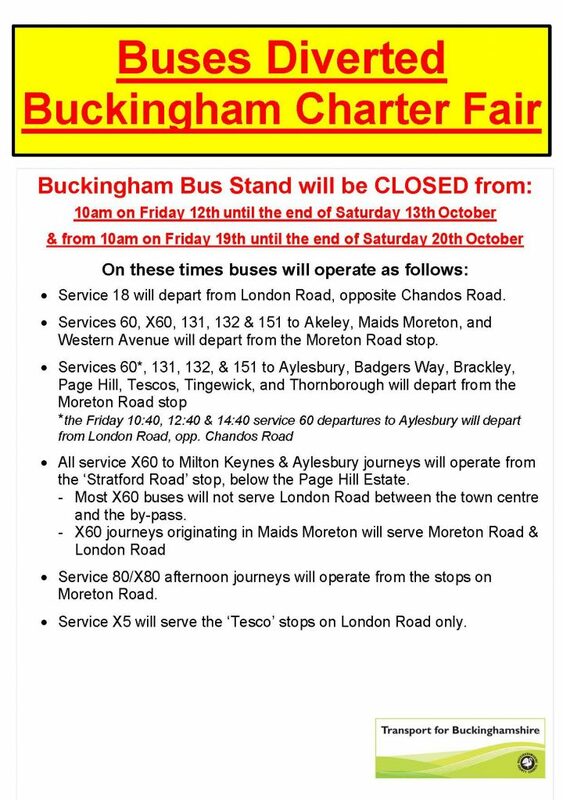 “Although the legal advice to Buckingham Town Council was that while we might have had a reasonable case against AVDC on the Buckingham Neighbourhood Plan ground, but not on the National Planning Policy Framework ground, he was not persuaded as to the overall merit of our making a claim. He felt that even if it was successful, AVDC was determined to grant planning permission one way or the other. Welcome to Lace Hill’s new community book swap! Please feel free to take a book and or leave a book from the Lace Hills Sports and Community Centre. 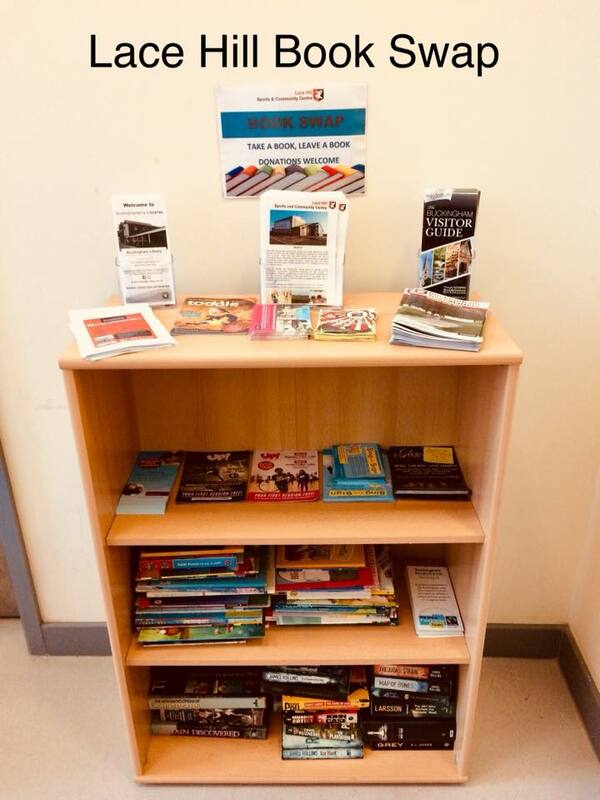 We have a small selection of both child and adult books and are welcoming donations to help build this community initiative. After the end of the First World War, the Town Council recorded its “gratitude at the termination of the War and the conclusion of the Treaty of Peace”. Today 100 years on, the Mayor, on behalf of the Council and all townsfolk, offers remembrance for all who have died, been injured or damaged as a consequence of war. Booking is now open for Buckingham’s very own artificial ice rink experience! 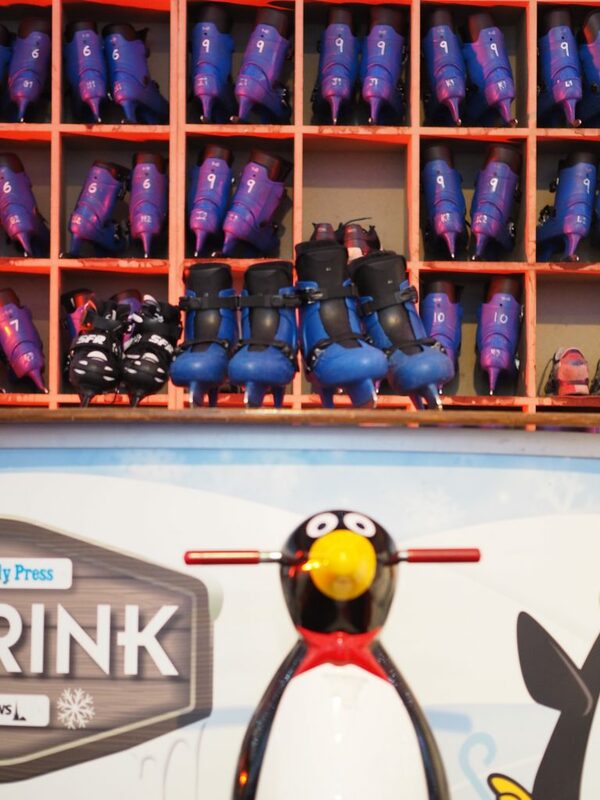 The ick rink will be held at cattlepens, opening on the 26th November and staying until Sunday 2nd December. Weekday sessions are from 3pm-9pm with weekend slots from 11am-9pm. 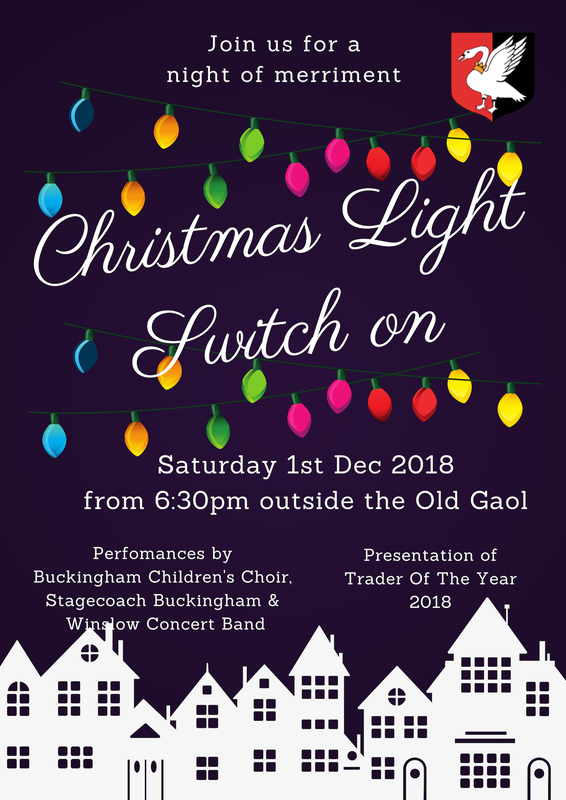 Tickets are available from the Tourist Information Office, or can be booked online. Prices are £6 for adults 16+ and £4.50 for children aged 2-12. Each ticket is for half an hour of skating and includes skate hire and an extra ten minutes for changing shoes. Please remember that under 8s MUST be accompanied by an adult. 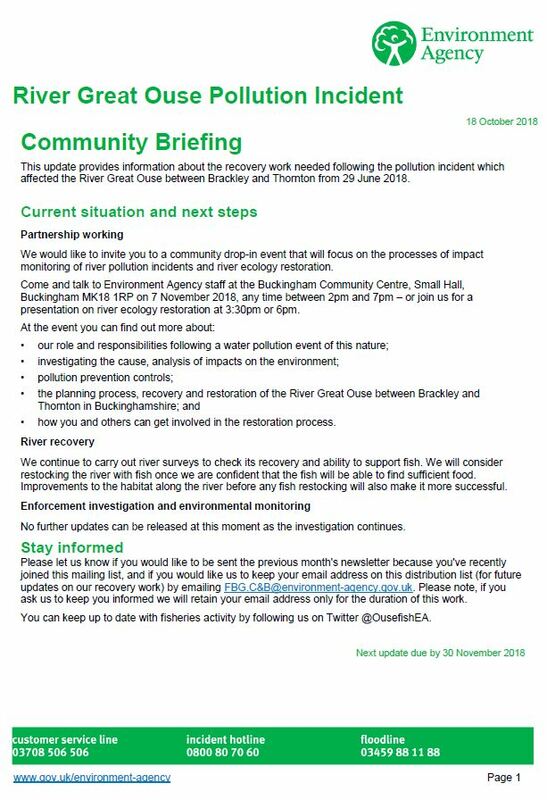 Come and join us at an Environment Agency (EA) meeting about the recovery of the Great River Ouse – staff from the EA will be on hand to answer questions and hear your experiences.